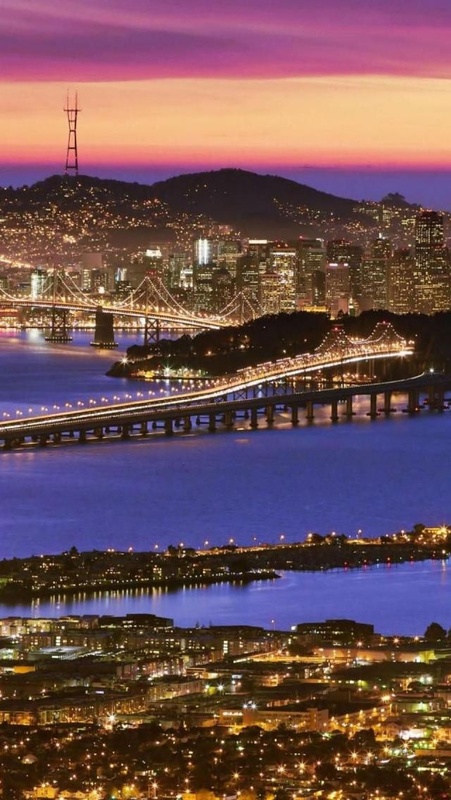 The San Francisco–Oakland Bay Bridge (known locally as the Bay Bridge) is a pair of bridges spanning San Francisco Bay of California, in the United States. As part of Interstate 80 and the direct road route between San Francisco and Oakland, it carries approximately 280,000 vehicles per day on its two decks. It has one of the longest spans in the world.